They don’t hold many car shows once winter comes along, so you have to find the old cars where you can. Luckily, St. Louis-based Gateway Classic Cars opened up a showroom in Nashville this year, so you can check out the inventory in indoor comfort. The large, well-lighted showroom offers a nice selection of mostly driver-quality classics, and if you find something you like, they’ll be happy to sell it to you. The inventory is always changing, so just because you see something here doesn’t mean it hasn’t already been sold and replaced. Let’s take a look at some of the stuff that was available during my recent visit. I hate to admit this, but I’m so far behind writing these stories that I’m more than a month in the rears on some of them. Unfortunately, that’s the case with this Mt. Juliet Chick-fil-A Cruise coverage, which was all the way back on October 9. That’s not the cruise’s fault, though. There were lots of great cars, fun people, and tasty chicken sandwiches. But don’t worry. Eventually, I get to everything I take pictures of. So, better late than never, let’s get into last month’s jam-packed cruise with the world’s crabbiest D.J. November means auto show season in Nashville, so we headed out to the Music City Center last weekend for the 2015 Nashville International Auto Show. This is one of the smallest new car shows I think I’ve ever been to. It also boggles my mind that Elvis’ Solid Gold Cadillac is on display just down the street from here at the Country Music Hall of Fame, and there was not one trace of Cadillac at this show. There were also quite a few more cars than I have pictured, but I made the determination that they were not interesting enough to feature. If you want to see Hyundais and Hondas and stuff like that, you’ll have to hit this show yourself next year. If you like sports cars and American pickups, you’re in the right place. 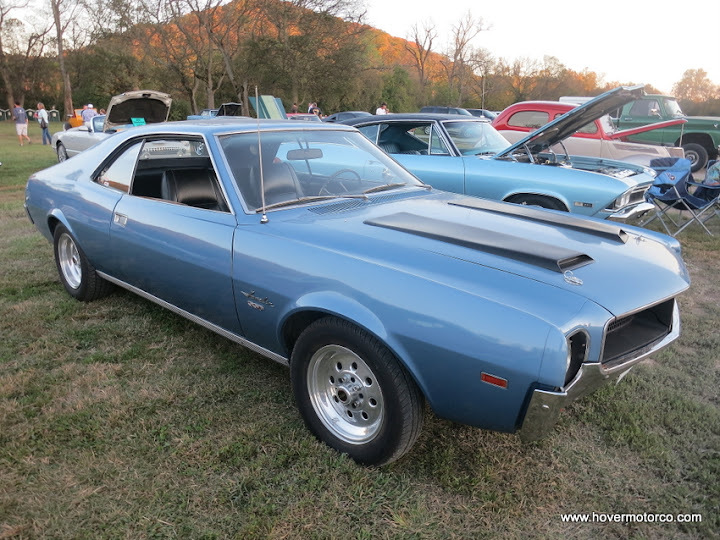 For 28 years, the Exchange Club has been hosting their annual car show, and when I found out it was at McKendree Village in Hermitage, just five minutes from my house, you can bet that I was in. Not only was it convenient, but it had a bunch of nice cars. And not only did it have nice cars, but it had nice weather. And not only did it have nice weather, but it raised money for the Exchange Club, which helps abused kids. This is the kind of situation that’s impossible to pass up. Of course, if you couldn’t make it, don’t worry. I’ll show you some of the stuff that was there in this story, and you can make sure to attend the 29th-Annual Exchange Club Car Show next year. Last weekend, I was able to make a quick stop in Kansas City, so of course I had to stop at a car show along the way. This time it was the 3rd-Annual Man Cave Party and Auto Show, which was held at the Wyandotte County Fairgrounds. There was a threat of rain throughout the day, which likely had an impact on the show car count. But with live music from the Good Sam Club Band and Dead Man’s Hand, several food vendors, and bounce houses for the kids, everyone seemed to be having a great time. Here are a few notable cars. Bowling Green, Ky., is the location of the factory that builds the new Corvette Stingray. That should be enough to draw any car guy to the Bluegrass State. But last weekend there was an even greater incentive, as the Vette City Classic Car Auction rolled through Bowling Green’s ABC Auto Auction. Auctioneer Phillip Traylor presided over 100 specialty cars, trucks, tractors, and motor homes during this one-day event. Naturally, I went up there and took some pictures. Let’s take a look at some of the standouts. We recently went on a little Spring Break trip to Chattanooga, Tenn. There are lots of fun things to check out there, including restaurants, caves, trains, and scenic mountain views. But for me, one of the highlights was the Coker Tire Museum, which houses the private car collection of vintage tire mogul Corky Coker. This is a pretty serious collection of mostly rare and unusual vehicles on display in an old factory. Oh, and no off-ball tires purchased at the local farm implements store here—everything sits on the perfect-style tire. Former Hot Rod Magazine writer Steve Anderson gave us the grand tour. There are people who love every kind of vehicle. Take the tow truck. In theory, this is just a tool to clear wrecks and drag inoperable cars from one place to another. But there’s more to it than that. Tow trucks have a lot of character. Their operators form a bond—a passion—for their trucks and everything that has to do with the towing industry. For some, operating a tow truck is more than just a job. It’s a way of life. And so, it should come as no surprise that there is an International Towing and Recovery Museum and Hall of Fame. We checked it out during our visit to Chattanooga, Tenn., so I wanted to show you some of the interesting trucks that were on display inside. When I saw the announcement that there was going to be a car show at the Snow White Bar-B-Q Drive-In in Lebanon, Tenn., I was expecting ten guys sitting in cars eating lunch. When we got there, I was quite surprised to see an event so huge it required the police to be there to direct traffic. This was a benefit for Bailey Roddy, a 7th-grade girl who had brain surgery for arteriovenous malformation (AVM), a disease that affects the flow of blood from the heart to the brain. It’s nice to see such a big turnout of car people for such a worthy cause. 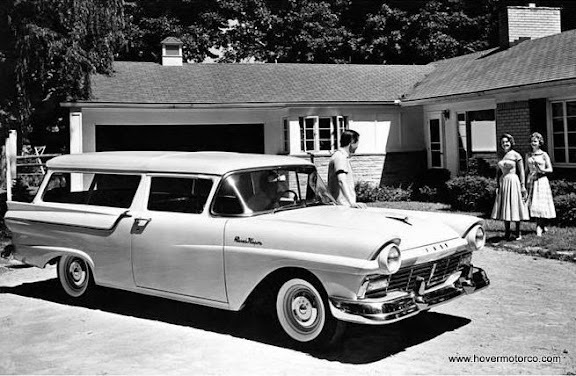 Not long ago, I put up an article about the cars of 1947. It wasn’t the most dazzling time in automotive history, as most of the cars featured were rehashes of cars that originally appeared on the market before World War II. I thought it would be interesting to jump ahead ten years and take a look at 1957. In just a decade, there was an immense change in the automotive landscape. Gone were the drab, muted designs of the ‘40s. Suddenly, things were brighter, more colorful, and more stylish. It was one of the most extroverted, optimistic periods in automotive history. Let’s take a look at some of the standouts. Sometimes when I haven’t been to a lot of car events, it’s hard for a little brain like mine to come up with things to write about. All the movie links on my Facebook feed have had a lot of stuff about the Fifty Shades of Grey movie. I haven’t actually seen it, or read the books, but I do know something that comes in several shades of grey—cars! You might think everything you see at a car show is red, but I actually compiled a huge collection of grey and silver cars for my slideshow. Let’s take a look at a few.